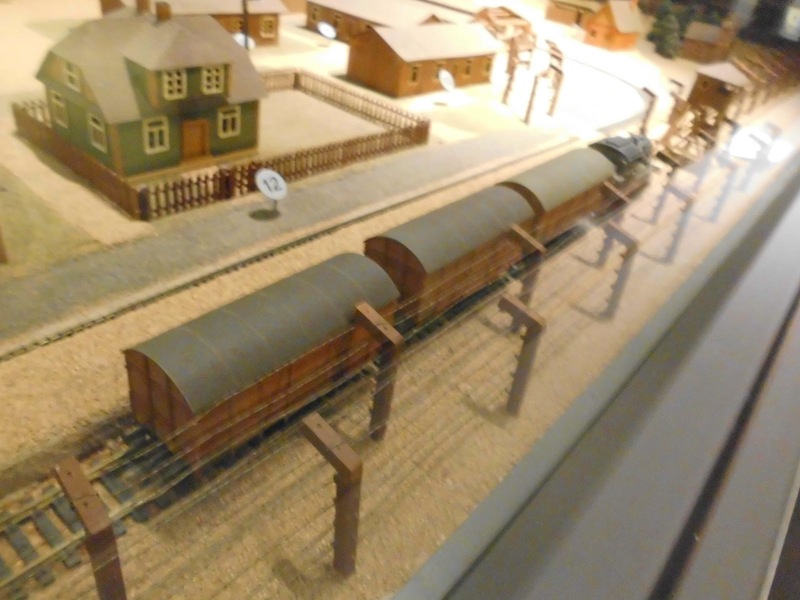 The Los Angeles Museum of the Holocaust has an HO scale model of the train that took the Jews to the death camp in Sobibor. 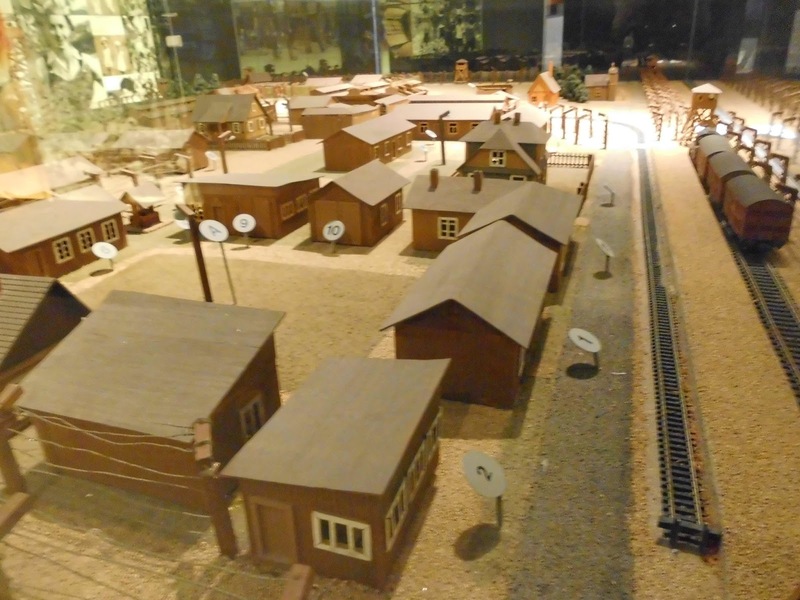 A reader has sent us images of a very unusual model railroad display from the Los Angeles Museum of the Holocaust. The images are of a model of the extermination camp at Sobibor, including the train that brought the Jewish prisoners to the camp during World War Two. These images might be considered disturbing to some, but it also serves as a very strong and poignant way of showing how model railroading skills can be used to educate and convey a powerful message to anyone who views display such as this. It must’ve taken an incredible amount of intestinal fortitude to even model a scene like this, and we applaud the museum’s efforts to educate the public about one of the most horrifying events in human history through the medium of model railroading. Note: Copy for this post has been corrected from its original version, thanks to the comment left by Randy Schoenberg, who spotted that the model was of the dead champ at Sobibor, and not Treblinka. Painstakingly exact detail went into the modelling of the Sobibor death camp. The numbers correspond to the text provided, describing what each building was used for. The model is of Sobibor, not Treblinka. It was made by Thomas Blatt, one of the few survivors of the famous break-out escape from that extermination camp. See https://en.wikipedia.org/wiki/Thomas_Blatt Blatt built the model (from memory) because the Sobibor camp was destroyed by the Germans as they retreated form the Russian advance, and he wanted people to be able to see what it looked like. Thanks for clarifying that, Randy! And much thanks to Thomas Blatt for re-creating this incredible model from memory! Thank you Paul for using my photos taken by me on September 27, 2016! I loved your article and I am proud I inspired it by my photos and knowledge you are an avid model railroader! And thank you, Nick, for sending them our way! 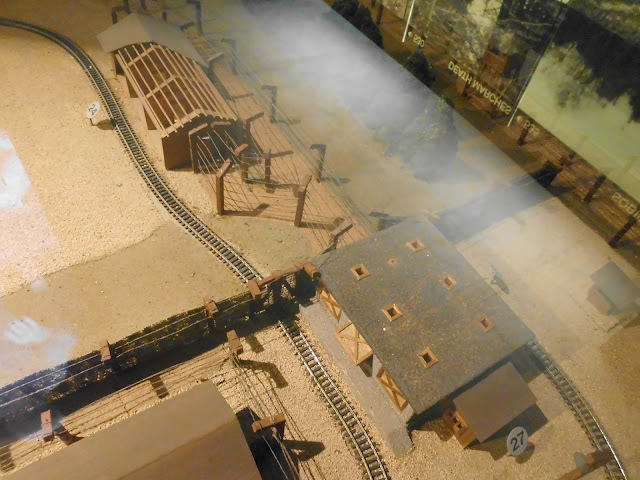 This display shows how model railroading can be used not only to entertain, but also to educate and even convey a powerful historical message! My pleasure. It was nice to know that on this trip I took so many of my alumni brothers and sisters everywhere I turned you all popped up. This spoke history, a time when life wasn't so nice and it screamed out loud PAUL ULLRICH for all the reasons you mentioned. Proud to be a small part of your blog! Also I may take plenty of shots of the Model Rail Road Exhibit at the Botanical Gardens this Christmas Season for you and your readership to enjoy.